For many companies that have been around for a while, IT infrastructure has focused on centralized management and oversight. Any changes to the infrastructure are implemented through the IT team with a process that takes into consideration the cohesive nature of a top-down approach. What’s intended to be an attempt at consistency and cohesion for bigger enterprises often results in an IT infrastructure that is cumbersome. It limits innovation and agility and often promotes technological priorities over that of business processes. Centralized approaches are often pursued with the goal of improving efficiency and productivity, saving costs on specific solutions with a streamlined approach. What often occurs is an increase in complexity and bureaucracy. It slows an enterprise’s time to market and increases the cost of operations. It also places technology decisions with IT, rather than with business managers. Some large enterprises find that it makes more sense to decentralize the IT infrastructure, allowing divisions or departments the independence to behave as small entrepreneurial start-ups that tend to achieve high levels of agility. In this model, there’s more opportunity for innovation and autonomy to choose the technology solutions that directly benefit that line of business. Don’t mandate the usage of a particular solution. There may be some technologies that simply aren’t a good fit for every business department. Make it possible for each area of business to build out a solution over time. Consult with businesses to create common capabilities. Once you have a good understanding of technology essentials, you’ll be in a better position to help add value over time. Start with building blocks. You’ll be able to help each department build a solid foundation. Support innovation. Encourage each division to adopt the solutions and policies that promote agility and help them to innovate. Set boundaries. Whether this comes in the form of performance application interfaces (APIs), standards or architecture, you can help each line of business to be successful. Encourage sharing. 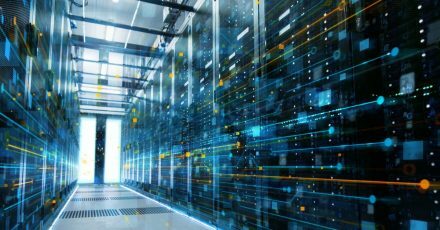 If a division discovers an IT infrastructure element that delivers the results they need, it’s a good idea for other areas of the enterprise to determine whether it might work well for them. If you’re considering ways to decentralize your infrastructure, or if you’re making decisions about how to handle infrastructure as you grow, contact us at Cory Communications. We can help you balance the benefits of decentralization while supporting the efficiency and productivity that a cohesive infrastructure ensures.